So considering how we’re always sharing links to videos and posts and pictures of these fascinating homemade three-strings, we thought it might be time to actually nudge you toward building one yourself. 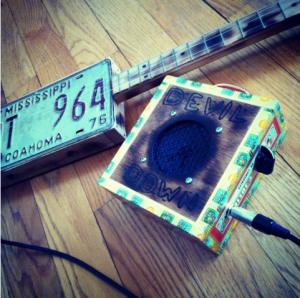 We’re not going to lie – where DIY is involved, cigar-box guitars aren’t exactly the easiest in the Pinterest to-do file. But they are NOT as hard as they seem – and definitely NOT beyond any single one of you. We’re obviously leaving the step-by-step instructions to the experts who’ve done these before, but have selected some instructubles that seem the clearest to us. UNDER $25: For instance, these are the most complete step-by-step instructions we found. 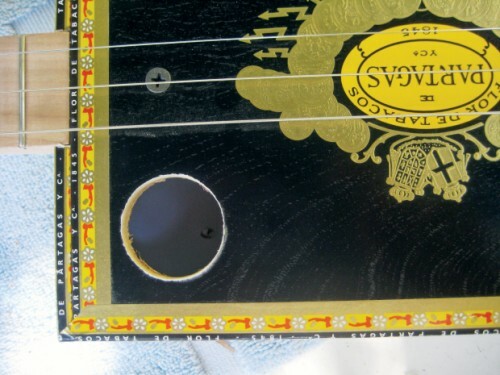 Brian Saner even divides the instructions in five parts to make sure you’re not missing anything (there are even historic facts, videos of famous cigar-box guitarists and the sort) AND only spends around $25 on building it. You can find part one here, part two here, part three here, part four here and part five here. GENERIC: Of course, you could use a more hands-on approach and go the simpler route with the generic instructions on wikihow. We’d recommend you check them out even if you’re looking for something with more pictures and a clearer step-by-step; it makes a good job of explaining the steps from another POV. 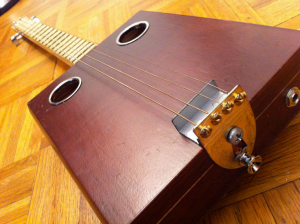 4-STRING UNDER $50: However, this user on Instructubles built one for his brother for under $50 and using almost no power tools. Just a quick thing though – his has four strings instead of three. FULL-BLOWN EXPERT EDITION: And finally, one of our favorites. Mark Frauenfelder, editor-in-chief of MAKE magazine took a shot at building his own and the results are breathtaking. His approach does, however, require a wider set of tools and more finished, pro look that might scare some beginners away. But if you’re up to the challenge – don’t let us stop you! Think you’ll start making one this weekend? Don’t be shy and show us your final guitar! You can comment here, find us on Facebook, on Twitter, or even drop us a direct line.